Aaaaahhhh! That’s the sound of your skin thanking you for using Cactus Flower and Tibetan Ginseng Hydrating Mist. 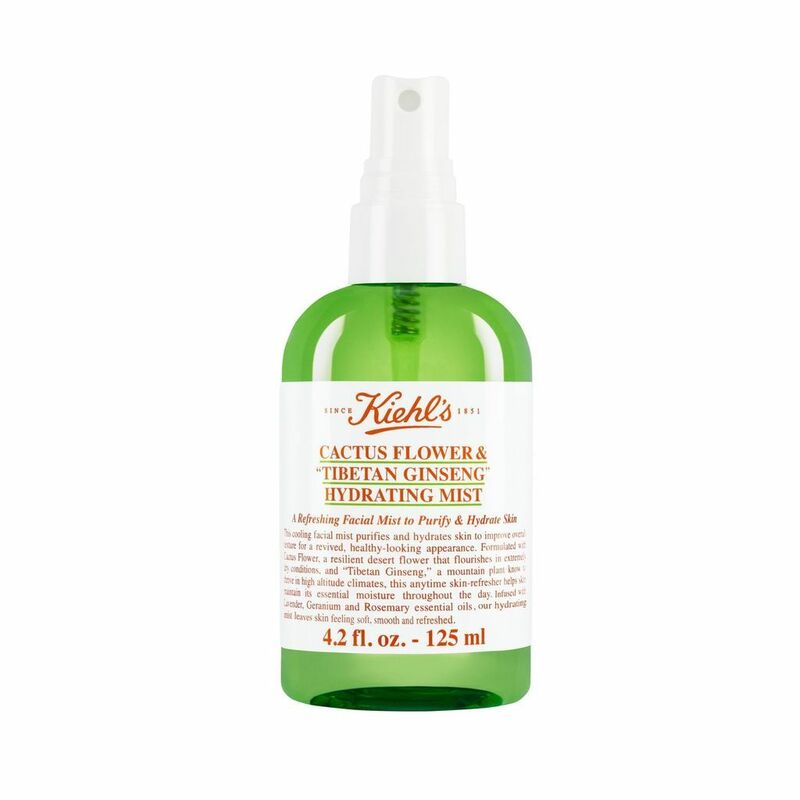 Our friends at Kiehl’s kindly provided us with a sample of this magical spray to try. Yes, that’s quite a name, but it is very descriptive of the key ingredients. The Cactus Flower holds the distinction of improving your skin’s hydration, smoothness, and softness, while the Tibetan Ginseng Root, AKA the “Golden Root”, helps make your skin radiant. This mist is so refreshing and cooling after a long run or ride, and you can just feel your skin soaking in the moisture and goodness. We’re anxious to pop it in the cooler to have it waiting for an invigorating boost after those dusty hikes in the mountain or salty days at the beach! It has a pleasant, mild floral scent initially, probably from the Lavender, Geranium and Rosemary essential oils which also serve to detoxify and protect your skin. We love this spray and think it’s perfect for a fresh pick-me-up after all your TrailblazerGirl adventures!